Baltimore auto accident attorney Marc Atas handles car accidents that occur in the Baltimore-Washington area. Our firm has handled thousands of auto accidents cases in Maryland and settled cases for many more where clients were injured. 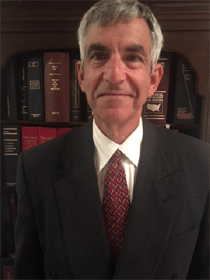 Baltimore Attorney Marc Atas is a highly-skilled attorney based in Baltimore, Maryland who represents individuals throughout Maryland who have been involved in an Auto Accident. Auto Accident Attorney Marc J. Atas has compiled a list of the most frequently asked questions. If your question is not answered here, please feel free to contact us the question and we will be happy to answer it. How long for car accident claim to settle? Clients often ask how long does it take for a car accident claim to be settled. In fact, typically that’s one of the first questions that clients ask in the initial interview. I give clients the same answer each time. “It depends.” If the insurance company accepts responsibility immediately, and the if client’s injuries are relatively minor and if I receive all the medical bills in a relatively short period of time and if the insurance company is reasonable in negotiations and calls me back when I call, then the case can settle usually within 30 days after the client’s treatment has completed. However, there’s a lot if’s in this particular sentence and for that reason while some cases can settle within two months of the accident other cases can take years before the case is resolved by the courts. See attached blog for more detail. What is a PIP waiver? A PIP waiver occurs when the vehicle you were in at the time of the accident does not have PIP coverage. A PIP waiver can apply even though the vehicle you were in has PIP coverage if you live in a household where anyone in that household that you are related to has a vehicle and has waived PIP coverage, then it is waived for anyone in the household when they are involved in an accident even though that vehicle was not involved in the accident. For instance, if you are involved in an accident in your friends vehicle that has PIP coverage, but you own a vehicle and you have waived PIP under that particular policy or if you live with your parents and they have waived PIP coverage under their policy, then you would not be able to make a PIP claim under the policy for the vehicle involved in the accident, even though that vehicle had PIP coverage. Anyone else who was in the vehicle at the time of the accident who had not waived PIP coverage anywhere else would be able to make a claim for PIP. In order for a PIP waiver to be valid, the insurance company must send written notice explaining what PIP is and the cost. A pip waiver must be in writing and on a form approved by the insurance commissioner.When an accident happens and the insurance company can not produce a copy of the signed waiver form, then the insurance company can not prevent you from filing a PIP claim, even if you remember signing one. The PIP waiver is binding on all named insureds, the listed drivers on the policy, members of the insureds family residing in insureds household and who are sixteen years old or older. PIP waivers continue even when the policy is renewed. As a general, PIP waivers should not be signed unless you absolutely cannot afford the coverage. The medical and lost wage coverage provided is helpful if you are involved in an accident and relatively inexpensive. I was in a car accident and the air bags in my car didn’t deploy. Do I have a case against the car manufacturer? That depends, as there are several factors that dictate whether an air bag will deploy in a collision. 65 to 90 percent of vehicles on the road in the U.S. have some degree of electronic data recorder (EDR). Contents of your EDR should be downloaded and preserved. If the circumstances of your accident were such that the airbags should have deployed, you very well may have a product liability claim against the manufacturer. According to the U.S. Department of Transportation, an estimated 28 million vehicles in this country may have defective airbags that can explode when they deploy and spray passenger with metal shrapnel, causing severe injury and even death. A massive nationwide recall is now in effect for Takata airbags after years of partial and regional recalls. Takata’s inflators can explode with too much force when they fill up an air bag, spewing out shrapnel. Apart from the fatalities, they’re responsible for at least 180 injuries worldwide. So far 100 million inflators have been recalled worldwide, the largest automotive-related recall in U.S. history. That includes 69 million in the U.S., affecting 42 million vehicles. The process could take years. One of Takata’s lawyers, Nobuaki Kobayashi, said it was too early to estimate the total eventual cost of the recalls and would not confirm Japanese media reports that they exceeded 1 trillion yen ($9 billion). Takata and the automakers were slow to address the problem with the inflators despite reports of deaths and injuries. Eventually they were forced to recall tens of millions of vehicles. The scope of the recalls means some car owners face lengthy waits for replacement parts, meanwhile driving cars with air bags that could malfunction in a crash. The problems stem from use of the explosive chemical ammonium nitrate in the inflators used to deploy air bags in a crash. The chemical can deteriorate when exposed to hot and humid air and burn too fast, blowing apart a metal canister. Attorneys for those injured by the inflators worry that $125 million won’t be enough to fairly compensate victims, many of whom have serious facial injuries from metal shrapnel. The Takata bankruptcy should not affect the pending claims against the car manufacturers. Can I still win my case if my memory of the accident now conflicts with things I might have said at the time of the accident? It’s very common for people to say things at the time of an incident that they later realize were inaccurate. Sometimes, a witness may misstate what you said about how the incident took place. You might have a hard time explaining how it is that you now remember things differently than you did at the time of the incident, but if you consult with an attorney, he or she will have experience handling such a situation, and can help find support for your side of the story. (8) whether and the extent to which the witness’s testimony in the court differed from the statements made by the witness on any previous occasion. Can I pursue an accident claim against the Federal Government, State of Maryland, Local Counties or City of Baltimore, Post Office, Maryland Transit Administration or a local School Board? Injured in a Car accident caused by a Maryland Transit Administration (MTA) bus, mobility bus, Marc Train, light rail, and or metro subway. Injured in a Car accident caused by a Prince Georges County police officer or other Prince Georges County employees. Can a Maryland State Employee Sue The State Of Maryland When Involved in a Car Accident? Most people involved in a car accident want to know How much do car accident lawyers charge? Most people involved in a car accident cannot afford to pay an attorney by the hour to represent them in a car accident case. If the lawyer charged by the hour at the going rate of $20.00 per hour to as high as $450.00 per hour and asked for a Retainer up front (for instance $2500.00 up front), most clients would not be able to afford to pay the retainer or the cost per hour. In order to solve the problem of the little guy fighting the big insurance company, the contingency fee arrangement has answered the question How much do car accident lawyers charge? A contingency fee means that if there is no recovery in the client’s case then there will be no fee. If there is a recovery in the client’s case than the fee will be a percentage of whatever the client recovers. No money is paid by the client until the end of the case and only paid if money is won. How much do car accident lawyers charge? In addition to the contingency fee, most, if not all lawyers also expect to be reimbursed, for expenses incurred in order to prove or win your case. What is a wrongful death claim in a Maryland accident claim? When an accident results in the death of an innocent victim, there are two types of claims that can be filed by the family of the deceased, a wrongful death claim and a survival action. The wrongful death statute and the survival statute have different purposes. These causes of action are brought by different persons. The damages are recovered for different reasons. The causes of action, though growing out of the same wrongful act, are entirely different. The wrongful death statute purpose is to provide the decedent’s relatives with recovery for lost support or benefits that would have been provided to them had the decedent not died because of another’s negligence. The survival statute purpose is to provide for the recovery of damages incurred by the deceased during their life that would have been recoverable had they survived. A loss to the decedent’s estate in a survival action concerns only damages sustained by the decedent, not for damages sustained by the decedent’s relatives which are covered by a wrongful death action brought by a Baltimore wrongful death lawyer. Maryland’s wrongful death statute allows certain relatives of a victim who died to bring a cause of action for injuries to them as a result of the death. The damages recoverable under a wrongful death claim include pecuniary losses to the claimant as a result of the decedent’s death, such as medical and funeral expenses, emotional pain and suffering, and loss of support, as well as non-pecuniary damages. The wrongful death statutes purpose is to provide decedent’s relatives with an award for the lost support that they would have received had the decedent not died. Whereas, the purpose of the survival statute is to provide for the recovery of damages, sustained by the decedent in life, which the decedent could have recovered had he survived. Separate Causes of Action Under Each Claim· A wrongful death action and a survival action, though growing out of the same wrongful or negligent act, are two separate causes of action. An action for wrongful death is a cause of action, that can be brought by relatives of the decedent. A survival action is an existing cause of action that survives the decedent and can be pursued by the personal representative on the decedent’s behalf. What Money Can I Recover As a Result of a Truck, Motorcycle Or Baltimore Car Accident? The first item of damage in a car accident is the damage to your motor vehicle. Motor vehicle damages has three parts. Actual physical damage to the vehicle. You have the absolute right to have your vehicle fixed at the shop of your choice. You have a right to require the shop to use parts that will not void your manufacturer’s warranty. If the parts the insurance company wants to use are of equal quality to manufacturers parts, you may require manufacturers parts but would have to pay the difference in costs. If as a result of the accident, even after your vehicle has been repaired, the value of the vehicle has diminished because it now has a history of being involved in an accident, thereby lessening of the value of the vehicle, then you can present a diminished value claim. In order to make a diminished value claim, it is necessary to obtain an expert in order to calculate what the diminished value is. The Second item of damage in a car accident is the damage to your body. You’re entitled to be reimbursed for any lost wages. If you miss any time from work as result of the accident because you are physically or mentally unable, then you can be reimbursed for the lost time. If you’re not able to get to work because you don’t have transportation due to the accident than you should be reimbursed for your lost wages. If you are permanently unable to return back to the type of work you were doing at the time of the accident, then damages should be awarded for any loss of earning capacity. If you lose your job because you are not able to return to work before the employer needs to replace you, then you should be compensated for the loss of the job. You’re entitled to be reimbursed for any medical expenses including medical expenses in the past incurred up to the time the case is settled including chiropractors in physical therapy any x-rays and doctors, etc. If you need treatment in the future on a periodic basis for chiropractors in physical therapy any x-rays and doctors, etc. as recommended by your doctor, then it would be necessary to retain a life care planner to calculate those future costs and attempt to collect them. The last piece of the puzzle is called pain-and-suffering. Pain-and-suffering is usually the biggest piece of a settlement. Pain-and-suffering is reimbursement for the physical and emotional pain incurred prior to the case being settled as well as physical and emotional pain incurred in the future. Pain and suffering can include any disability, scaring, loss of consortium, which is how it affected your marriage and inconvenience, how the accident changed your life during treatment time, and perhaps for the rest of your life. What is My Maryland Car Accident Worth? How does a lawyer know what is my car accident or personal injury case worth? Does the lawyer just pick a number out of the air? Does the lawyer make it up? Can I just multiply the medical times three? What is the magic secret? I have been evaluating, settling, and trying auto accident and personal injury claims for over 38 years. The methods I have used has changed over the years as insurance company methods and verdicts have changed. Juries attitudes over the years change and tend to run in cycles. Juries can be very conservative for a period of years and then times may change. As a result, insurance companies as well as lawyers must change in order to adapt to the times. When I first started practicing law, insurance companies would add up the medicals and multiply the medicals by three and add in the lost wages. As insurance companies started having good success trying cases, they developed a computer system called Colossus. Colossus is a computer program with information from all of the country and the insurance companies use Colossus to evaluate a claim. Even though the insurance company uses Colossus to standardize their evaluation of the claim, a good car accident lawyer uses his own expertise and experience in order to evaluate the claim. There are so many factors that a good car accident lawyer will consider in order to evaluate a claim. Clients insist there must be a formula, but there is not. No one really knows what a judge or jury will award in a case if the case goes to trial. But an experienced trial lawyer will have a feel for what impresses a jury and what does not impress them. There are hundreds of factors to consider. If you are involved in an accident and the accident was not your fault, then you may get your vehicle repairs paid for either by the insurance company for the person who caused the particular accident or you may be able to get the vehicle repairs paid for under your own insurance policy. If the person who caused the accident, admits fault quickly then it is always best to get the vehicle fixed under their insurance policy. If the person at fault does not admit that they are at fault quickly, then you can get the vehicle fixed under your collision coverage of your policy, subject to a deductible. If your insurance company pays under the collision portion of your policy they will then attempt to get their money back from the person at fault in the accident and will also get you back your deductible. When your own insurance company fixes the vehicle under the collision section of your policy, this can result in your insurance rates going up in the future unless your insurance company is able to recoup the money they paid from the other insurance company. Decision regarding getting the vehicle repaired usually need to be made quickly.If the damage is relatively minor and the vehicle is repairable, then it would be prudent to wait until the at fault drivers insurance company has accepted responsibility. If the vehicle is not drivable, but it is not in a tow lot and you are not being charged storage, then you can either wait a reasonable period until the other insurance company accepts liability or proceed under your own insurance. While tho other parties insurance will provide a rental once they accept responsibility, your own insurance company will not provide a rental unless you purchased rental coverage. In addition if it is determined that the at fault driver has no insurance, then your insurance company will fix your vehicle under the uninsured motorist portion of your policy and will also provide a rental even if you do not have rental coverage under your insurance policy. If your vehicle is in a tow lot, then the decision about which insurance to use becomes more immediate. If the Insurance for the at fault driver takes to long to make a liability decision as to who was at fault or you cannot determine who was at fault because you need the police report or to contact witnesses, then if you have collision coverage under your own policy,let your own insurance can take care of the tow and storage charges, car damages as well as a rental if you have that coverage until the at fault parties responsibility can be determined. If you do not have collision coverage , then you need to pay the tow bill and storage charges quickly yourself. The reason you should not wait more than a couple of days when the car is in a storage lot is because, even if the other insurance company accepts liability, they will only be resonsible for storage charges for a reasonable period of time which is usually a couple of days. If the car is left in storage for more than a few days, then you may be responsible for the balance of the storage bill. In addition if the vehicle is in a government run tow lot, it may be auctioned off after in is in storage for more than 30 days. Once the vehicle is in the shop to be repaired, normally the insurance company will authorize a rental car until the car is fixed. § 10-921. Burden of proof in uninsured motorist coverage actions. HOW DOES THE INSURANCE DETERMINE THE VALUE OF A TOTAL LOSS ? When your vehicle is involved in a serious accident, you may find out that the insurance company has decided to declare your vehicle a total loss. Whether an Insurance Company declares a vehicle a total loss is governed by Maryland law and is not arbitrarily left up to the Insurance Company. A vehicle is a total loss according to Maryland Law if [(9) “Total loss” means the condition of a motor vehicle for which:(a) The cost of repairs equals or exceeds:(i) The actual cash value of the motor vehicle as calculated in accordance with Regulation .04 of this chapter; or(ii) A percentage of the actual cash value of the motor vehicle established by the insurer and calculated in accordance with Regulation .04 of this chapter; or(b) The total cost to repair the motor vehicle, plus the estimated cost of potential repairs from hidden damage, plus any anticipated rental coverage, may equal or exceed:(i) The actual cash value of the motor vehicle as calculated in accordance with Regulation .04 of this chapter; or(ii) A percentage of the actual cash value of the motor vehicle established by the insurer and calculated in accordance with Regulation .04 of this chapter. What happens if I do not want my vehicle totaled? The process seems arbitrary when dealing with the Insurance Company on the issue of the value for the total loss of your vehicle. However it should not be arbitrary and there is a specific procedure and formula spelled out in the Code of Maryland Regulations. Rather than following the requirements of the State regulation the Insurance Companies have been hiring outside vendors who allegedly go on the internet and find similar vehicles for sale. Often if you follow up on their paperwork you realize that few if any of the alleged vehicles are actually for sale. In addition state regulations do not recognize the insurance company outside vendor method of evaluating total losses. (ii) A percentage of the actual cash value of the motor vehicle established by the insurer and calculated in accordance with Regulation .04 of this chapter. In laymen’s terms a vehicle is a total loss when the value of the vehicle is less than the cost to repair the vehicle. Code of Maryland Regulation Maryland Insurance administration section:31.15.12.03 thru 31.15.12.07 provide regulations on how to determine the value of a total loss and Insurance Companies must follow these regulations or be subject to penalties from the Insurance Commissioner. 1. An offer on a total loss must be made within 10 days of an Insurance company accepting liability. 2. The insurer’s minimum offer, subject to applicable deductions, shall be: A. The total of: (1) The retail value for a substantially similar motor vehicle from a nationally recognized valuation manual or from a computerized data base that produces statistically valid fair market values for a substantially similar vehicle as defined in Regulation .02B(7) of this regulation; and (2) Regardless of whether the claimant retains salvage rights, the applicable taxes and transfer fees pursuant to COMAR 11.11.05; or B. The total of: (1) A quotation for a substantially similar motor vehicle obtained by or on behalf of the insurer from a qualified dealer at a location reasonably convenient to the claimant; and (2) Regardless of whether the claimant retains salvage rights, the applicable taxes and transfer fees pursuant to COMAR 11.11.05. Insurance companies regularly violate this provision by refusing to use Kelly Blue Book or NADA evaluations or failing to at least take these into consideration when valuing a total loss. They say they are complying by using an outside service that represents a computerized data base that produces statistically valid fair market values for a substantially similar vehicle, however it does not appear to be a data base but a system that compares values by making calls. Further rarely is a quotation from a qualified dealer at a location reasonably convenient to the claimant. Once a total loss offer is made the Insurance company must provide you the basis for the offer including any deductions made for the condition of the vehicle and mileage deductions. You as the Owner of the vehicle have a right to reject the Total loss offer and make a counter offer based upon the following factors: (a) Dealer quotations for a substantially similar motor vehicle; (b) Advertisements for a substantially similar motor vehicle; or (c) Any other source of valuation for a substantially similar motor vehicle. If an insurer rejects a claimant’s counteroffer for the total loss made pursuant to §A(2) of this regulation, the insurer shall, within 5 business days, send to the claimant a written explanation in clear and understandable language of why the information relied on by the claimant in the counteroffer does not provide a more accurate valuation than the information relied on by the insurer in its offer. If you are not happy with the Insurance Company offer for your total loss claim than you should contact dealers in your area for a written estimate asking them what they would sell a car just like yours was before the accident if they had one on their lot. If the dealer has a similar car in similar condition and mileage on their lot, than that would be the best evidence of total loss value. Finally if all else fails, you can look in the newspaper or on the internet for vehicles similar to yours in mileage and conditions and present them to The Insurance Company. .03 Duties of Insurer Following Determination of Total Loss of Motor Vehicle. (2) There are factors beyond the control of the insurer that prevent the insurer from complying with the deadlines set by §§B—D of this regulation, including a vehicle that is limited in production, specialty in nature, or older than 10 model years at the time of the total loss. (2) If authorized by the policy, replace the motor vehicle pursuant to Regulation .07 of this chapter. (2) The time provided in the policy. Third-Party Claimants. Within 10 days after an insurer determines that a motor vehicle of a third-party is a total loss, the insurer shall make an offer of a cash settlement pursuant to Regulation .04 of this chapter. (2) Regardless of whether the claimant retains salvage rights, the applicable taxes and transfer fees pursuant to COMAR 11.11.05. (e) Has mileage that is within the greater of 4,000 miles or 10 percent of the mileage on the damaged motor vehicle at the time that the damage occurred unless the vehicle is limited in production, specialty in nature, or older than 10 model years at the time of total loss. .05 Contents of Settlement Offer. (3) Inform the claimant that the claimant may, in writing, reject the settlement offer and make a counteroffer in accordance with Regulation .06 of this chapter. If a claimant makes a request under §A(2) of this regulation, the insurer shall provide a response within 7 business days of the date of the request. .06 Response by Claimant to Settlement Offer. (c) Any other source of valuation for a substantially similar motor vehicle. Duty of Insurer. If an insurer rejects a claimant’s counteroffer made pursuant to §A(2) of this regulation, the insurer shall, within 5 business days, send to the claimant a written explanation in clear and understandable language of why the information relied on by the claimant in the counteroffer does not provide a more accurate valuation than the information relied on by the insurer in its offer. .07 Replacement of Motor Vehicle. Subject to any deductible, paid for by the insurer. CAN I MAKE A DIMINISHED VALUE CLAIM? What is a diminished value claim? If your car is in a serious accident, which requires substantial repairs, and despite those repairs, the car is worth less after successful repairs, than the car was worth before the accident took place you may be entitled to make a diminished value claim. Obvious examples include frame damage done to a new car. A purchaser of a used car is not willing to pay as much for a used car with previous frame damage even if repaired as they would for the same used car with no prior accident history. While it seems logical that this would be true for all cars that have previously been in an accident, the diminished value claim is the exception rather than the rule. Will the Insurance Company automatically offer the diminished value claim as part of the offer for your property damage? The simple answer is no! An insurance company will never bring up the issue of diminished value unless asked. More likely even if suggested, they will deny the remedy applies. However more insurance companies now have a specific unit that now deals exclusively with diminished value claims. For the Insurance companies that do not have a diminished value claim unit, it can be difficult to negotiate the diminished value claim. How do you prove a diminished value claim? The best way to prove a diminished value claim is to hire an automobile appraiser who has an expertise in evaluating diminished value claims. The insurance company has appraisers who do these estimates for the insurance company and you should have an appraiser that does the same thing for your side. Just like any other injury this is not an agreed upon science and each side is likely to have a different opinion. The insurance company opinion is likely to be favorable to the insurance company so you need an appraiser likely to be favorable to your position. When should I make a diminished value claim? While Taylor establishes the standard by which we measure damages, it is silent as to burden of proof. It tells us that in order to determine the amount of recovery it is necessary to know at least three facts: the cost of repairs, the value of the vehicle immediately before the injury, and the value of the vehicle immediately after the injury. But it does not tell us whether the owner of the damaged vehicle or the party who caused the damage must prove those facts. Supported by the concurrence of textwriters and other state courts, we conclude that the appropriate rule with respect to the burden of proof in a case involving damage to a motor vehicle which has not been destroyed is that the owner of the damaged vehicle has the burden of proving his damage, and may do so by proving either the cost of repairs or the diminution in the value of the vehicle after the damage in order to establish a prima facie case. The party causing the damage then has the burden of showing that the plaintiff’s evidence is not the proper measure of damages by offering evidence that the option not pursued by the owner would cost him less. In Krause, the Court was concerned only with an explication of the measure of damages enunciated in Taylor and not with an assessment of the burden of proof. While the Krause rule does require the owner of the damaged vehicle to prove diminuted market value after repairs, it contains no such requirement with respect to proof that the cost of repairs coupled with the diminution in market value does not exceed the diminution in value prior to the repairs. Indeed, in our view, for the reasons set forth above, when a plaintiff has established a prima facie case by proving his damage, according to one acceptable measure of damage, it becomes the obligation of the defendant to offer evidence that the damage would be less under a different acceptable measure of damage. In the instant case, the appellants sued for the cost of repairs, loss of the use of the vehicle, and a decrease in the value of the vehicle after repairs. The appellee admitted negligence, and the sole issue of damages was tried to a jury with Judge James F. Couch, Jr. presiding. It appears from 8*8 the record that the appellants had purchased their 1960 Mercedes Benz 220 SE coupe on May 22, 1969, approximately three weeks prior to the accident. They paid $2,400 for it, which was assumed to be its value immediately before the accident. After the accident, the appellants were charged $1,820.29 for repairs associated with the accident, an amount which a qualified expert testified was fair and reasonable. They paid $60 for rental of a car during the twelve days the car was being repaired, also an amount which a qualified expert testified was fair and reasonable. The appellants introduced no evidence as to the market value of the automobile immediately after the accident and before the repairs. They unsuccessfully attempted to qualify an expert to testify as to the value of the car after repairs. At the conclusion of the appellants’ case, Judge Couch ruled that the appellants had not established a prima facie case with respect to damages for injury to the vehicle or diminution of the value of the car after repairs and directed a verdict for $61: $60 for loss of use of the vehicle during the period of repair and $1 nominal damages. We remand the case for retrial as to the amount of damages for injury to the vehicle under the principles set forth herein. With respect to appellant’s claim for damages for the diminution in the value of the vehicle after repairs, one further issue should be resolved for the guidance of the lower court. Maryland Rule 1085. The question concerns the qualification of the expert witness offered by the appellants to testify on the diminuted value after repairs. “The uncertainty arises from the fact that observation or knowledge of a thing involves, in these instances, two elements: acquaintance with the object or article itself, and acquaintance with the class of things into which it is desired to put the object. For example, knowledge of the value of a horse involves, first, a knowledge of the values of the different grades of horses, and, secondly, knowledge of the appearance and qualities of the particular horse, and the operation of estimating its value consists in comparing it with the several possible classes or grades and then placing it in one of them. It follows that the observation or knowledge necessary in such cases is twofold, — knowledge of values generally or the conditions affecting values, and knowledge of the thing to be valued.” Wigmore on Evidence, § 558 at 638 (3d ed. 1940). In the instant case, Mr. Samuel Ladden, the owner and operator of the automobile repair shop at which appellants’ car was repaired, qualified as an expert in the repair of automobiles and testified as to the cost of repairs. The appellants then attempted to qualify him as an expert to testify on the value of the vehicle after repairs. Mr. Ladden testified that in addition to having been in the repair business for some 21 years, he also was a licensed used car salesman and had run a used car lot for 13 years. He said that at the time of the trial he had about 20 cars for sale, including a number of Porsches and Volkswagens, a number of Chevrolets “ranging from 1956 through 1969,” a 1971 Dodge Coronet and “a couple of MGs.” He stated that 10*10 incidental to the type of work he did, he had become involved in the inspection and appraisal of certain types of unique and classic automobiles and that he had himself purchased and resold such cars on a number of occasions and had assisted his customers in obtaining such automobiles. He indicated that he thought he was familiar with the market values of used motor vehicles in his locality. On cross-examination, Mr. Ladden was asked when he had last had a 1960 Mercedes Benz 220 SE coupe on his lot for sale. He replied, “I have never had one on my lot for sale, and they are very, very rare.” Immediately thereafter, Judge Couch sustained appellee’s objection to the witness’s qualification as an expert to testify to the diminution in the value of appellants’ vehicle after repairs. We feel that Mr. Ladden was qualified to offer his opinion as to the value of the vehicle after repairs. His testimony established that the 1960 Mercedes Benz 220 SE coupe was a rare and unique automobile; that he had knowledge of and acquaintance with the class of unique and classic automobiles and their values generally in the locality; and that, having repaired the vehicle in question, he had intimate knowledge of the condition of the specific automobile to be valued. The fact that he himself had neither purchased nor sold a 1960 Mercedes Benz 220 SE coupe properly affects the weight accorded his opinion, but it does not affect his competency as an expert and should not have disqualified him. Smith v. Armstrong, 121 Mont. 377, 198 P.2d 795 (1948); Leider v. Pitock, 15 N.J. Super. 592, 83 A.2d 796, 797 (1951); Wigmore on Evidence, § 714 at 46, § 716 at 54 (Chadbourn Rev. ); Jones on Evidence, § 14:50 at 730 (6th ed. 1972). Nor should his failure to indicate knowledge of comparable sales bar his testimony. First National Realty Corp. v. State Roads Comm’n., 255 Md. 605, 613-14, 258 A.2d 419, 423-24 (1960); Turner v. State Roads Comm’n., 213 Md. 428, 433, 132 A.2d 455, 457 (1957). In our view, the experience and knowledge of Mr. Ladden was such that he was entitled to testify. We have no doubt that his opinion would aid the trier of fact. Consolidated Mechanical Contractors Inc. v. Ball, 263 Md. 328, 338, 283 A.2d 154, 158 (1971); Sun Cab Co. 11*11 v. Walston, 15 Md. App. 113, 141-43, 289 A.2d 804, 820-21 (1972), aff’d, 267 Md. 559, 298 A.2d 391 (1973). 51*51 The cause was argued before PRESCOTT, C.J., and HAMMOND, HORNEY, OPPENHEIMER and McWILLIAMS, JJ. Hugh A. McMullen and William H. Geppert, with whom were Gunter & Geppert on the brief, for the appellant. Fred H. Anderson, with whom were Anderson, Mullen & Bowen on the brief, for the appellee. HORNEY, J., delivered the opinion of the Court. This appeal, arising out of a suit for damages resulting from a collision of motor vehicles, presents a question as to which method should be used in computing the amount of damages for injury to an automobile which was not completely destroyed. The automobile operated by a son of William R. King (the appellee) was struck in the rear and extensively damaged by a motor vehicle operated by George N. Taylor (the appellant). Since no defense was made by the appellant as to his liability, the only question before the lower court was the amount of damages to be awarded the appellee for the injury to his automobile. It appears from the record that the appellee had purchased a new automobile about two months prior to the accident for $3192.49 and that at the time of the accident it was worth $3127.43. The only estimate obtained as to the cost of repairing the automobile totaled $1118.21, but the appellee decided not to repair the automobile and sold it for salvage for $975 which was the highest of several offers he received. The lower court entered a judgment of $2182.43 — the difference between the value of the automobile prior to the accident and its value after the accident established by deducting the salvage price from the depreciated value and adding the towing charge of $30. Although the parties have stated different rules, the point of disagreement between them, on the question of the measure of damages, is not which rule should be applied but rather the issue is whether the automobile of the appellee could reasonably have been restored, by repairing it, to substantially the same condition that it was in before the accident. The measure of damages advanced by the parties is said to be the difference between the market value of the automobile immediately before the injury and its market value immediately after the injury if the automobile cannot be “fully repaired,” as the appellant phrased it, or “restored to its former condition,” as the appellee expressed it. On the question as to whether the damaged automobile could reasonably have been restored by repairs to substantially the same condition that it was in before the accident, there are insufficient facts to make a determination. The only evidence in the record which is even close to being relevant to the issue is the testimony of the appellee who, in reply to a question as to why he did not have the automobile repaired, stated that “in the case where a frame and body structure have to be straightened to the extent that this car would have to be straightened [he] felt that by straightening those members the car would have been weakened more and would not have been put in a safe acceptable condition for future use.” Although it appears that the appellee was possibly qualified to testify as an expert witness, in view of the fact that he had been for many years the supervisor of maintenance, repairs and purchasing for the trucking division of a trucking company and had had responsibilities in respect to repairing and maintenance of the company vehicles, his testimony was not sufficient positive evidence of whether the automobile could or could not be restored by being repaired to substantially the same condition that it was in before the accident, at reasonable costs. Evidence should have been presented 53*53 as to how extensively the frame and body were damaged and whether these conditions could or could not have been corrected. Since we cannot make a determination of the question of fact, we shall, pursuant to Maryland Rule 871 a, remand the case without affirmance or reversal for the taking of additional evidence limited to the question of whether the automobile could have been substantially restored at reasonable cost by repairing the injury sustained as a result of the collision. Although this might be a sufficient disposition of the case under ordinary circumstances, we think that the parties, having asserted conflicting rules of law, are entitled to a concise statement of the law when there is a question as to which method should be used in computing the amount of damages for injury to an automobile which was not completely destroyed. See Rule 885. In Western Maryland R.R. v. Martin, 110 Md. 554, 73 Atl. 267 (1909), where injury had been done to household furniture by water which the defendant negligently caused to overflow on to the property of the plaintiff, this Court promulgated the rule that the measure of damages would be the cost of repairing the furniture if it was merely damaged and would be its value at the time of its destruction if it was entirely destroyed. And in Mullan v. Hacker, 187 Md. 261, 49 A.2d 640 (1946), where the action concerned the recovery of damages to an automobile garage as a result of an excavation on adjoining property, it was said that the measure of damages was the cost of repairing the garage if it could be restored to the condition it was in before the injury without cost disproportionate to the injury and that when the cost of restoration is greater than the diminution in market value, the measure of damages is the difference between the value of the property before and after its injury. The rule is as applicable to personal property as it is to real property. See Superior Construction Co. v. Elmo, 204 Md. 1, 102 A.2d 739 (1954). Until now, we have not had to consider a case in which there was a possibility that the injured automobile could not be restored to its prior condition. The various statements in Martin, Fingles, Fisher and Mullan make it clear that the rule in Maryland with respect to the measure of damages for injury to a motor vehicle, which has not been entirely destroyed, is the reasonable cost of the 55*55 repairs necessary to restore it to substantially the same condition that it was in before the injury, provided the cost of repairs is less than the diminution in market value due to the injury. And when the cost of restoring a motor vehicle to substantially the same condition is greater than the diminution in market value, the measure of damages is the difference between its market value immediately before and immediately after the injury. In addition, the measure of damages may include a reasonable allowance for loss of use of the vehicle. Remanded without affirmance or reversal for the taking of additional evidence and a redetermination of the amount of damages in conformity with this opinion; the costs to abide the outcome. The courts are far from being in accord as to what the rule in this area ought to be. There are several rules and numerous variations of some of them. To discuss them at length and compare the difference between them would require a footnote considerably longer than this opinion which in the end would probably serve no useful purpose. Most of the cases decided prior to 1956 are referred to in the footnotes (70 through 89) to an article on the subject by James Fleming, Jr., entitled DAMAGES IN ACCIDENT CASES, published in 41 Cornell Law Quarterly, at p. 593. Other cases not referred to in the article or decided since publication, include Wright v. Capital Transit Co., 35 A.2d 183 (D.C. Mun. Ct. Appls. 1943); Hemminger v. Scott, 111 A.2d 619 (D.C. Mun. Ct. Appls. 1955); Knox v. Akowskey, 116 A.2d 406 (D.C. Mun. Ct. Appls. 1955); Teitsworth v. Kempski, 127 A.2d 237 (Del. 1956); The Nyland, 164 F. Supp. 741 (D.C. Md. 1958); Falter v. City of Toledo, 158 N.E.2d 893 (Ohio 1959); Alber v. Wise, 166 A.2d 141 (Del. 1960); Sanft v. Haisfield, 178 A.2d 791 (Pa. Super. 1962); and Brewer v. Drain, 192 A.2d 532 (D.C. Ct. of Appls. 1963). PIP stands for Personal Injury Protection and is insurance coverage which is paid by the insurance company for the vehicle that you were in at the time of the accident or if you were a pedestrian the vehicle that may have struck you. PIP pays medical expenses and/or lost wages up to $2,500.00 unless in your policy PIP benefits exceed $2,500.00. These benefits are paid no matter who is at fault, as long as your policy carries the coverage. If your medical expenses or lost wages exceeds $2,500.00 PIP will not pay anything over the $2,500.00 limit. PIP coverage normally covers , if not waived, the owner of the vehicle, any resident relatives of the owner, drivers of the vehicle who have permission of the owner to use the vehicle, guests in the vehicle, passengers in the vehicle, pedestrians struck by the insured vehicle, and persons getting in or out of the vehicle or in close proximity to the vehicle and having a nexus to vehicle. PIP is typically paid directly to the medical provider, so that if the medical expenses exceed $2,500.00 and are paid to the doctor, then there will be no PIP benefits available for lost wages. If you need to collect your lost wages immediately, then inform your Baltimore auto accident attorney that you would like the PIP benefits to be used for your lost wages first, instead of paying the doctors first. Not every automobile Insurance policy has PIP coverage.There is no PIP coverage for state owned or local government owned vehicles, taxi cabs and buses. In addition PIP coverage can be waived meaning you can tell the insurance company you do not want to but PIP coverage and if you sign a waiver, then there will be no PIP coverage covering your vehicle for the owner of the vehicle and anyone who is a resident relative of the owner of the vehicle. Finally there is no pip coverage when the vehicle driven by someone who is involved in an accident that was intentional by the driver, the driver stole the vehicle, the driver had an accident while committing a felony, or the driver was fleeing and eluding the police. Medical expenses covered must be reasonable, must be causally related to accident, must be incurred within three years of the accident and must be for healthcare or funeral expenses. PIP claims must be presented in writing to the insurance company on PIP forms provided by the insurance company within one year. Failure to file the written claim on the proper form within the one year will result in denial of your PIP claim. Pip claims must be paid within 30 days or incur interest charges.Presentation of lost wage or medical claims can easily take 30 days, so if you need the lost wages , you should file for them as quickly as possible. Does my lawyer have to pay my medical and hospital bills or my health insurance company from my accident case. You may also want to read Rule 1.15(d) of the Rules of Professional Responsibility, which requires an attorney to safeguard property in which the client or a third party has an interest. If the rule applies to your case, you may be hearing from the attorney grievance commission if you comply with the client’s request. You would indeed be “on the hook” if you remit the funds to your client without paying Rawlings or the plan. The FEHBA plan’s subrogation claim comes from the health insurance contract. See 5 C.F.R. § 890.106. Moreover, the subrogation claim is governed by federal law, and not state law. Id., subsection (m). “[I]t is one of the familiar rules of equity that a contract to convey a specific object even before it is acquired will make the contractor a trustee as soon as he gets a title to the thing.” Barnes v. Alexander, 232 U.S. 117, 121 (1914). Therefore, your client’s contractual promise to reimburse the health insurer from the tort recovery creates an equitable lien on the recovery to the extent of the insurer’s valid subrogation claim. See Sereboff v. Mid Atlantic Medical Services, Inc., 547 U.S. 356, 363-68 (2006). If you dishonor the lien, then you will be personally liable to the plan. See Hoffman v. Liberty Mutual Insurance Co., 232 Md. 51, 56-57 (1963).You would also be in ethical trouble. See Maryland Rule of Professional Conduct 1.15(d) & (e).Therefore, tell the client that absolutely cannot remit the funds to her in disregard of the Rawlings’s and the plan’s claims. Besides, as others have stated, if the client breaches the subrogation contract, the health insurer may dispense with suing the client or you, and may instead simply electronically retract all of the payments that it made to the health care providers in the case, or put your client’s future health benefits in “retention” until it recoups the amount that it claims to be owed. But neither one of those things will happen, because you will not remit the funds to the client. A client should always be advised, if possible, what he or she will “net” from an offered settlement. There has been some language in recent Court of Appeals decisions which said that an attorney must pay a client’s “debts” out of a tort recovery, including amounts owed to health care providers. See, e.g., Attorney Grievance Commission v. Mungin, 439 Md. 290, 308 (2014); Attorney Grievance Commission v. Roberts, 394 Md. 137, 163-64 (2006). But the language in those cases must be read in context.In those cases, the attorney was supposed to pay the health care providers out of the recovery because the client had instructed or authorized the lawyer to do so. The attorney then did not do so or unduly delayed in doing so. Obviously, that behavior is a problem, particularly if the lawyer converts for his own use the money that the client had instructed him to pay to the health care providers. But that is a different situation from one in which there is no lien or letter of protection for a particular health care provider, and the client instructs the lawyer not to pay the health care provider. What type of rental car and how long can I keep It? What type of rental car am I entitled to and for how long am I entitled to a rental car? The simple answer is under Maryland law you are entitled to a replacement vehicle ( rental car) while your vehicle is being repaired comparable to the vehicle you had at the time of the accident. It is not acceptable to provide a compact car when you were driving an SUV at the time of the accident. When your car is involved in a Maryland automobile accident and is not drivable you are entitled to be reimbursed for the cost of a rental car immediately and your right to a rental car shall continue until your car has been repaired. Most insurance companies in the alternative provide a rental car because they are able to provide them at a reduced rate. The length of time for the rental car depends upon the reasonable period of time it will require to fix the vehicle. If it takes time to order parts than that time is included in the period for using a rental car. If your car is drivable then the parts should be ordered in advance by the shop and once the parts have been obtained then the car should be left with the shop for repairs. Issues often arise when the shop provides faulty work or the delay in repairs is due to the fault of the shop. When the delay in repairs is due solely because of the fault of the shop as when the vehicle takes twice as long to repair because the shop has poorly trained workers or too much work and not enough help, than the insurance company may no longer be responsible for the delay and at that point a remedy should be expected from the shop. It has long been the assumption, as reflected in the applicable Maryland Civil Pattern Jury Instruction, that “[t]he measure of damages for loss of use is the reasonable rental value of comparable property.” Maryland Civil Pattern Jury Instruction 10:21(d) (emphasis supplied). As a New York intermediate appellate court said nearly a hundred years ago, “The practice has obtained in these damaged vehicle cases of allowing the cost of the actual hire of another vehicle similar to that damaged; and this custom has prevailed, we think, largely because the measure of damage is rarely objected to.” Naughton Mulgrew Motor Car Co. v. Westchester Fish Co., 173 N.Y.S. 437, 438 (N.Y. App. Div. 1918). That practice is supported by Maryland’s case law. Specifically, the requirement that the rental vehicle be “comparable” stems from the general rule that “the measure of damages for injury to personal property, which has not been totally destroyed, ‘is the cost of repairing the property together with the value of the use of the property during the time it would take to repair it.’” Hopper, McGraw Co., Inc. v. Kelly, 145 Md. 161, 167 (1924) (parentheses omitted), quoting Washington, Baltimore and Annapolis Railway Co. v. William A. Fingles, Inc., 135 Md. 574, 579-80 (1920), in turn quoting 17 Corpus Juris, page 877. In Weishaar v. Canestrale, 241 Md. 676 (1966), the plaintiff, immediately after the accident, ordered a replacement for his truck that had been “destroyed” in the accident. Id. at 684. “Because the body had to be specially fabricated for his use, delivery was not accomplished until five weeks later, during which time, in order to continue his business, he was obliged to hire a truck.” Id. During those five weeks, the plaintiff paid $875 to rent a truck. The defendant contended that the plaintiff was not entitled to recover those expenses. The Court of Appeals disagreed. See id. at 684-86. Quoting a comment to § 927 of the First Restatement of Torts (1939), the Court said that “’damages can properly include an amount for expenses in procuring a necessary substitute or for the value of the use of a substitute until a replacement of the subject matter can be made.’” Id., 241 Md. at 684. One of the cases which the Court cited in its discussion was the Fourth Circuit’s decision in Chesapeake & Ohio Railway Co. v. Elk Refining Co., 186 F.2d 30 (4th Cir. 1950), in which the court said: “We think that the expense to which the refining company was put in hiring another tractor-trailer unit to take the place of that which had been damaged until the tractor could be repaired and another trailer obtained should have been allowed as an element of damages.” Id. at 32.
because he has not hired a substitute automobile, we would be placing upon recovery a condition of financial ability to hire another automobile to take the place of the injured automobile.The law cannot condone such a condition. He would be denied compensation for his inconvenience resulting from the defendant’s wrongful act.Holmes v. Raffo, supra, 374 P.2d at 542. Immediately after the accident Canestrale ordered a replacement for the truck which had been destroyed. Because the body had to be specially fabricated for his use, delivery was not accomplished until five weeks later, during which time, in order to continue his business, he was obliged to hire a truck. He was permitted, over objection, to show that this cost him, at $175 per week (conceded to be reasonable) a total of $875, which amount the jury included in its verdict under the instructions of the court. Weishaar argues this is reversible error on the part of the trial judge. “The rule is well established that the measure of damages for the conversion or destruction of a chattel is the market value of the chattel at the time and place of the conversion or destruction. While this is sometimes 685*685 stated as though it were a rule applicable to vehicles it is a general rule applicable to all kinds of chattels. The justification for it is that this provides a convenient rule of thumb and, in case the article is readily replaceable on the open market, compensates the owner for his loss. “The general principle which should govern the matter is quite clear. Damages are supposed to compensate the injured person for the wrong which has been done him. [Restatement, Torts, § 910.] If his loss is greater than the market value of the chattel at the time of its destruction, an owner should, on principle, be allowed additional items which will adequately compensate him unless some of those claimed items are so speculative as to create danger of injustice to the defendant. “Here we have the perfect case for the allowance of the additional element of damages. As pointed out above, the plaintiffs’ case removed the possibility of speculation by careful proof which showed not only the possibility of profitable use but an actual contract for that use. This case, therefore, fits perfectly into the statement of the measure of damages set out in Section 927 of the Restatement of Torts.” Id at 742. What if I was not wearing a seat belt at the time of my accident? Can I still recover damages? In some states, not buckling up can negate or reduce any potential compensation for damages, on the basis that people suffer more severe and expensive injuries when they’re not wearing seat belts. In other states, this is not the rule. In Maryland the non-use of a seat belt is NOT admissible evidence in injury cases.However Maryland does require the use of a seat belt for any one in the vehicle who is age 16 or above.See the below Maryland seat Belt law. 2. Required to be equipped with seat belts under federal motor vehicle safety standards contained in the Code of Federal Regulations. (ii) “Motor vehicle” does not include a Class L (historic) vehicle. (3) “Outboard front seat” means a front seat position that is adjacent to a door of a motor vehicle. (4) (i) “Seat belt” means a restraining device described under § 22-412 of this subtitle. (ii) “Seat belt” includes a combination seat belt-shoulder harness. (b) Seat belts required. — A person may not operate a motor vehicle unless the person and each occupant under 16 years old are restrained by a seat belt or a child safety seat as provided in § 22-412.2 of this subtitle. (1) The provisions of this subsection apply to a person who is at least 16 years old. (2) Unless a person is restrained by a seat belt, the person may not be a passenger in an outboard front seat of a motor vehicle. (3) (i) Unless a person is restrained by a seat belt, the person may not be a passenger in a rear seat of a motor vehicle. (ii) A police officer may enforce this paragraph only as a secondary action when the police officer detains a driver of a motor vehicle for a suspected violation of another provision of the Code. (d) Physically disabled persons. — If a physician licensed to practice medicine in this State determines and certifies in writing that use of a seat belt by a person would prevent appropriate restraint due to a person’s physical disability or other medical reason, the provisions of this section do not apply to the person. (2) The reason that restraint by a seat belt is inappropriate. (f) U.S. Postal Service and contract carriers. — The provisions of this section do not apply to U.S. Postal Service and contract carriers while delivering mail to local box routes. (g) Violations not moving violation. — A violation of this section is not considered a moving violation for purposes of § 16-402 of this article. (iv) Diminish recovery for damages arising out of the ownership, maintenance, or operation of a motor vehicle. (2) Subject to the provisions of paragraph (3) of this subsection, a party, witness, or counsel may not make reference to a seat belt during a trial of a civil action that involves property damage, personal injury, or death if the damage, injury, or death is not related to the design, manufacture, installation, supplying, or repair of a seat belt. (3) (i) Nothing contained in this subsection may be construed to prohibit the right of a person to institute a civil action for damages against a dealer, manufacturer, distributor, factory branch, or other appropriate entity arising out of an incident that involves a defectively installed or defectively operating seat belt. (ii) In a civil action in which 2 or more parties are named as joint tort-feasors, interpleaded as defendants, or impleaded as defendants, and 1 of the joint tort-feasors or defendants is not involved in the design, manufacture, installation, supplying, or repair of a seat belt, a court shall order separate trials to accomplish the ends of justice on a motion of any party. What determines who is responsible in an automobile accident? Figuring out who is at fault in a traffic accident is a matter of deciding who was careless. And for vehicle accidents, there is a set of official written rules telling people how they are supposed to drive and providing guidelines by which liability may be measured. These rules of the road are the traffic laws everyone must learn to pass the driver’s license test. Complete rules are contained in each state’s Vehicle Code, and they apply not only to automobiles but also to motorcycles, bicycles and pedestrians. Car accident claims involving Uber and Lyft. The rules of the road are complex. Clients often tell me well he hit me so he is at fault. Who hit whom is usually irrelevant. Clients should never try to handle the case without a lawyer. While there are thousands of traffic laws that deal with drivers’ obligations to each other, there are some basic traffic rules which repeatedly appear relevant in determining liability and which a good Baltimore Injury lawyer will know. Negligence is doing something that a person using reasonable care would not do, or not doing something that a person using reasonable care would do. Reasonable care means that caution, attention or skill a reasonable person would use under similar circumstances. A reasonable person changes conduct according to the circumstances and the danger that is known or would be appreciated by a reasonable person. Therefore, if the foreseeable danger increases, a reasonable person acts more carefully. The violation of a statute, which is a cause of plaintiff’s injuries or damages, is evidence of negligence. Should I release my medical records to the driver’s insurance adjuster? Insurance companies will usually ask the injured party to sign a release of medical records. Signing a medical release authorizing an insurance company to obtain your medical records is almost always a bad idea. As part of your injury claim for personal injury protection benefits under your own insurance policy, an uninsured motorist claim under your own insurance policy or a liability claim against the at fault drivers insurance company, it will be necessary to provide the insurance company all medical records and medical bills that are related to your case.If you have an attorney who will be representing you in this matter, than the attorney will have you sign a medical authorization allowing your attorney to obtain those records so that there is no reason why the insurance company would also need a release of records. If you do not have an attorney for your injury claim, you could allow the insurance company to obtain those records but that is not a good idea.Once you sign a release they may be able to receive any medical record about you whether related to the accident or not.Why would you want an insurance representative who you do not know, having authorization to look at all of your medical history. The better practice would be that if you do not have a lawyer, then again, you should obtain those records and bills and forward them to the insurance company. Once you or your lawyer receives those records, they should be read to make sure they are related to the accident and do not contain information unrelated to the accident and that you do not want the entire world to know. In addition medical records are notorious for having false information in them. It is important that the records be closely scrutinized before sending to the insurance company. If you give a blank authorization to the insurance company then they can obtain all of your medical history whether that is related to the accident or not. What happens if the cause of the automobile accident is not clear? It is sometimes difficult to say that one particular act caused an accident. If you can show that the other driver made several minor driving errors or committed several minor traffic violations, then you can argue that the combination of those actions caused the accident. Almost half the states have some form of no-fault auto insurance, also called personal injury protection.In those states , the claim is paid no matter who is at fault, but the recoveries may be limited to medical expenses and lost wages.Maryland is not a no fault state. Maryland requires proof of fault in order to recover.